In earlier times the „Wire Barons“ resided here, today Allersberg presents itself as market town situated in an attractive landscape of woodland and meadows with a rich tradition and affluent presence. The landmark tower gate, once part of the defensive wall, stands today as the gateway to the “Franconian Lake District”. Your friendly holiday resort by the Rothsee numbers 8,400 inhabitants. There are excellent transport connections with its own exit from the A9 Nuremberg to Munich motorway as well as the regional railway station Allersberg (Rothsee) served by the R9 line. There is much to see of yesterday but also much to experience from “today” in and around Allersberg: Parish fairs, markets and the many traditional festivities offer variety the whole year round. Special highlights from the multitude of events are Carnival Sunday with the popular carnival parade, the Parish Fair at the end of July, the Town Festival at the end of August and the Christmas Market on the second advent weekend in December. Every Saturday between 8am and 12 noon a market selling local farm produce takes place in front of the town hall. 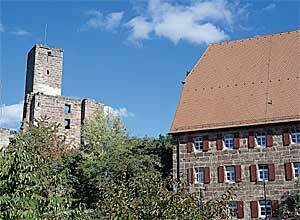 Only a few minutes distance from the south shore of the Rothsee lays Hilpoltstein, its castle and medieval town centre. 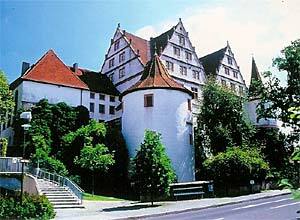 Sights include the castle, once seat of the Herren von Stein, the manorial buildings of the Wittelsbacher, the baroque parish church, the gothic town hall, timber framed houses and the largely intact city wall. Hilpoltstein formerly the district seat of the old District of Hilpoltstein, which today numbers 13,000 inhabitants, offers its visitors and holiday makers an extensive leisure, cultural and sports attractions including the special summer holiday program in August. The castle festival on the first Sunday in August with its historical games is well known. The “KultTour” from September to December offers music, cabaret and more for several weeks on the stages in the city. In the market place markets are held throughout the year. For example every Friday there is a farmers market and on the first advent weekend a Christmas market with concerts in the evening near to the parish church. Roth is a diverse town. The picturesque old town around the snug market place invites you to stroll and the many sided sport, leisure and cultural attractions have a surprise in store time and again. 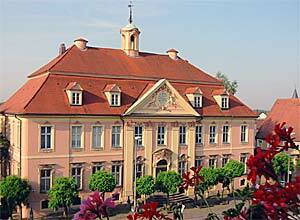 The jewel and landmark of Roth is the Schloss Ratibor: The ensemble with its courtyard and adjoining garden form an oasis of stillness in the middle of the town. Likewise it also forms the backdrop for a number of open air events, for example the popular castle courtyard plays or various concerts. Three museums of the town present the history and traditions of Roth. The Museum Schloss Ratibor with the “Prunksaal” (great hall) as outstanding feature is certainly worth a visit. In the Fabrikmuseum (Factory Museum) the “Leonischen Industry”, present in Roth since the 17th century is the central theme. The process of the wire from its raw form to finished “Leonishen” products is vividly shown on impressive working machinery from former times. In the Historical Iron Hammer museum working blacksmiths bring the smithy back to life. Additionally various articles of daily use in agriculture and handwork are on display.